We were mightily impressed with the Nokia Lumia 920 handset we reviewed last month, and its successor, the Nokia Lumia 928 looks to be another big hitter. The Windows Phone 8 phone comes with a generous 4.5 inch WXGA HD OLED 1280 x 768 screen serving up an aspect ratio of 15:9 and a pixel density of 334 ppi, protected by Gorilla Glass 2. The 8.7-megapixel main camera features a speedy Carl Zeiss Tessar 26mm (eq.) f/2.0 lens backed by optical image stabilisation and a xenon flash for stills (with LED light for movies). The camera supports 1080p Full HD video capture at 30 frames per second. 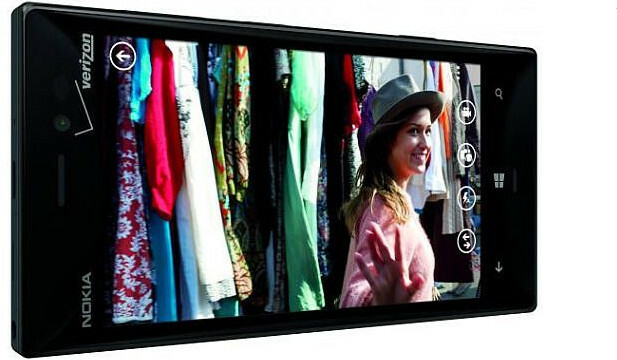 while the front-facing 1.2-megapixel camera supports 720p video. The battery is a decent sized 2000mAh number (but non-removable – bah! ), and with no SD card onboard, you’oll have to make do with the 1 GB RAM and 32GB internal memory, with 7GB free of SkyDrive additional storage available. 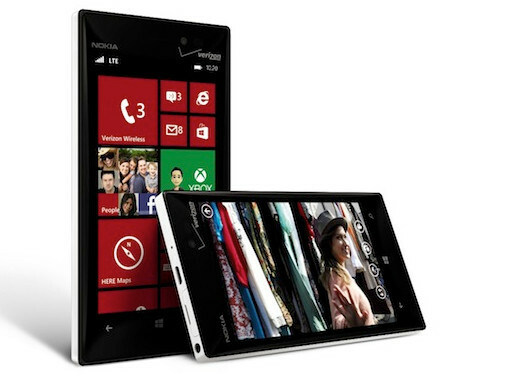 The Lumia 928 supports wireless charging, and goes on sale on 16th May in the US.